About the Photographer, the face behind the lens? 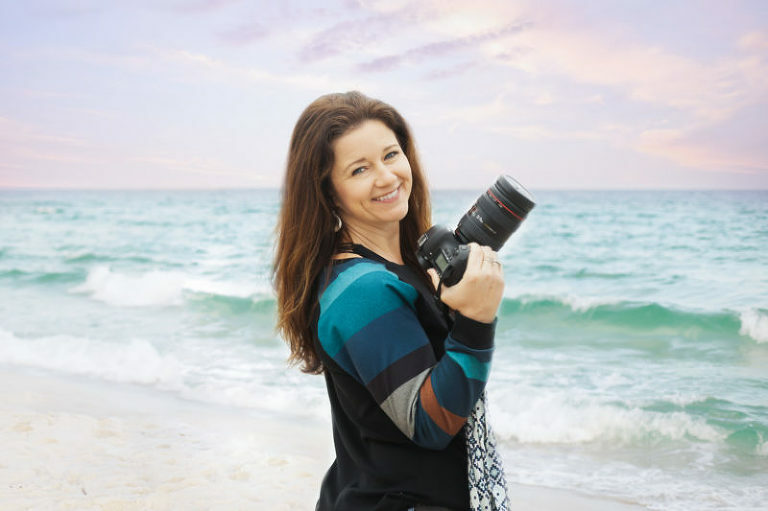 Sharon Cleveland is a Certified Professional Photographer specializing in maternity, newborn, baby milestones and families. Sharon ventured into photography, following the birth of her last baby in 2008! She loves capturing your moments and being a small part of your family history. Sharon loves camping, the beach and all things outdoors. Coffee in the morning and a glass of red wine in the evening never hurt anyone, right?! Accomplishments: SCP was voted TOP NEWBORN PHOTOGRAPHER in 2016, 2017, 2018 and 2019 in the greater Fort Worth Area. Sharon Cleveland is held to high standards of photography by Professional Photographers of America. In 2017 Sharon Cleveland went above and beyond in passing a strenuous photography exam. Once she passed the exam, 15 client images had to be submitted to a panel of PPA judges. The judges unanimously passed every single image. Sharon Cleveland was then declared a Certified Professional Photographer. On going education must take place to keep this certification.